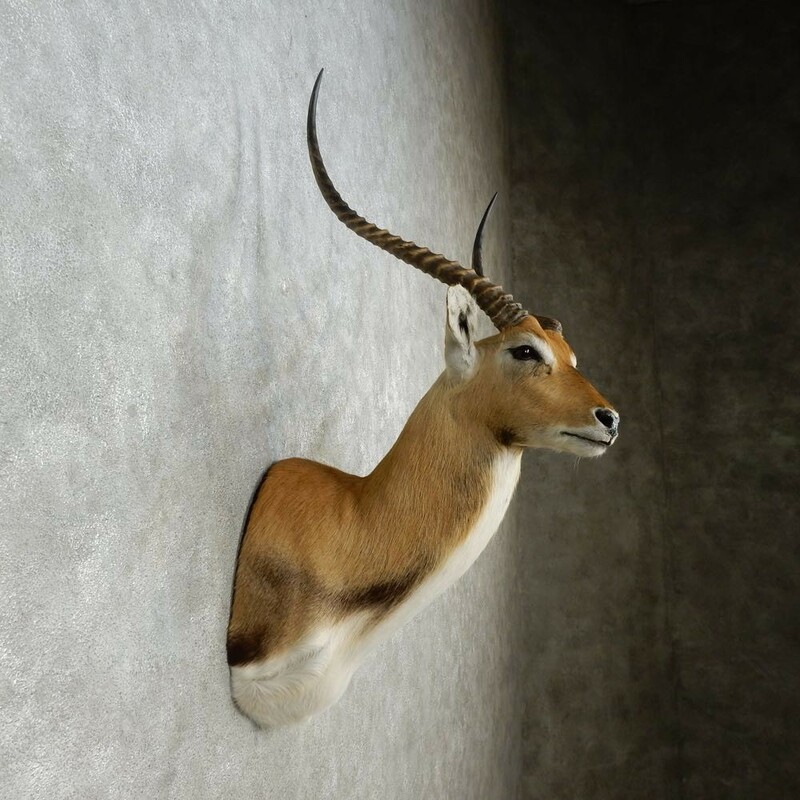 This is a fantastic Kafue Flats Lechwe shoulder taxidermy mount, posed in an upright position, and slightly to it's right side out into the room. 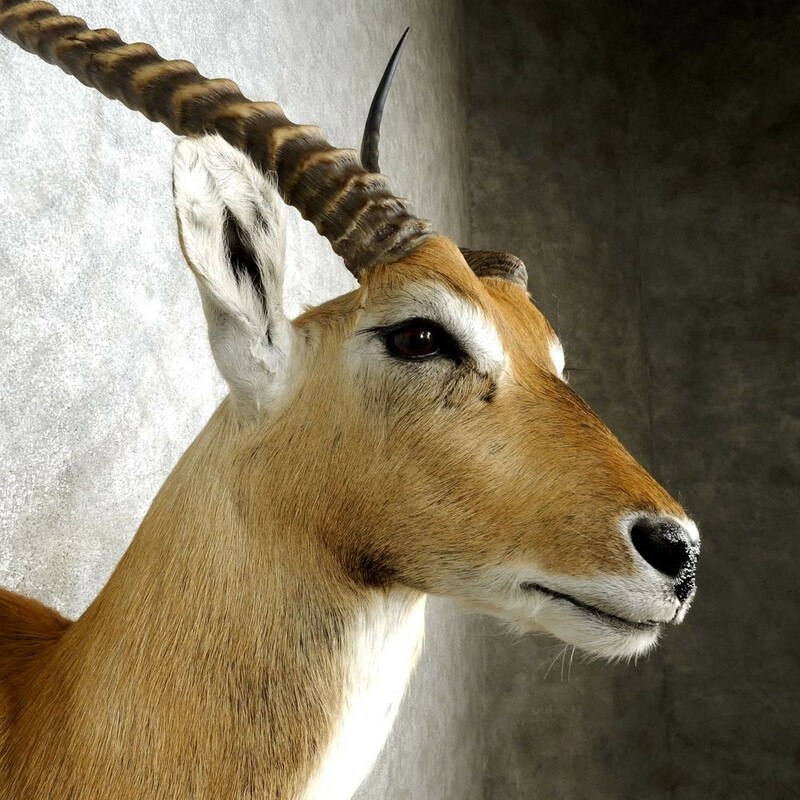 It has an incredible hide and fantastic hair, with horns achieving an SCI Score of 65 6/8". 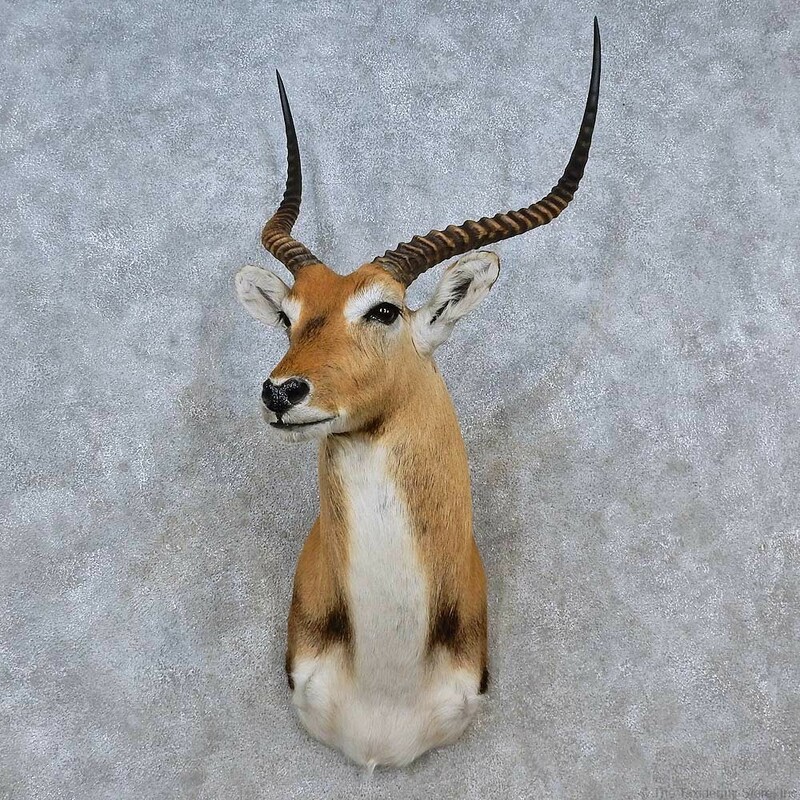 The taxidermy craftsmanship is really nice as well, earning this item our Excellent Plus™ overall quality rating. All applicable measurements and dimensions are provided to help ensure this item will fit within your intended space, as well as meet expectations regarding the item's featured attribute sizes, scores, etc. 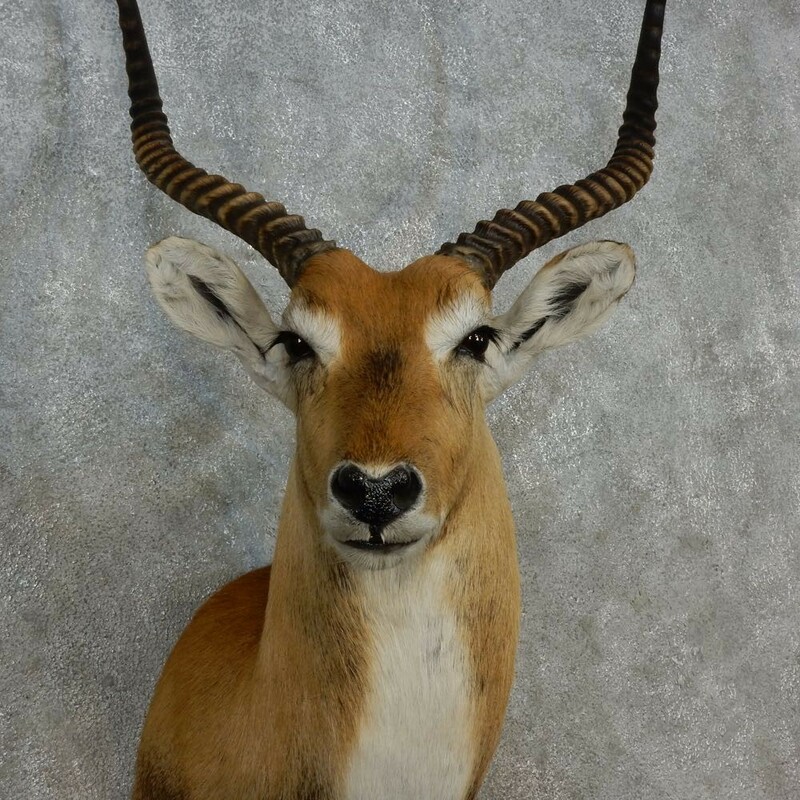 The Kafue Flats Lechwe is a subspecies of the lechwe, an antellope species found throughout the grasslands and floodplains of southern and central Africa. Male and female lechwe differ in several categories. 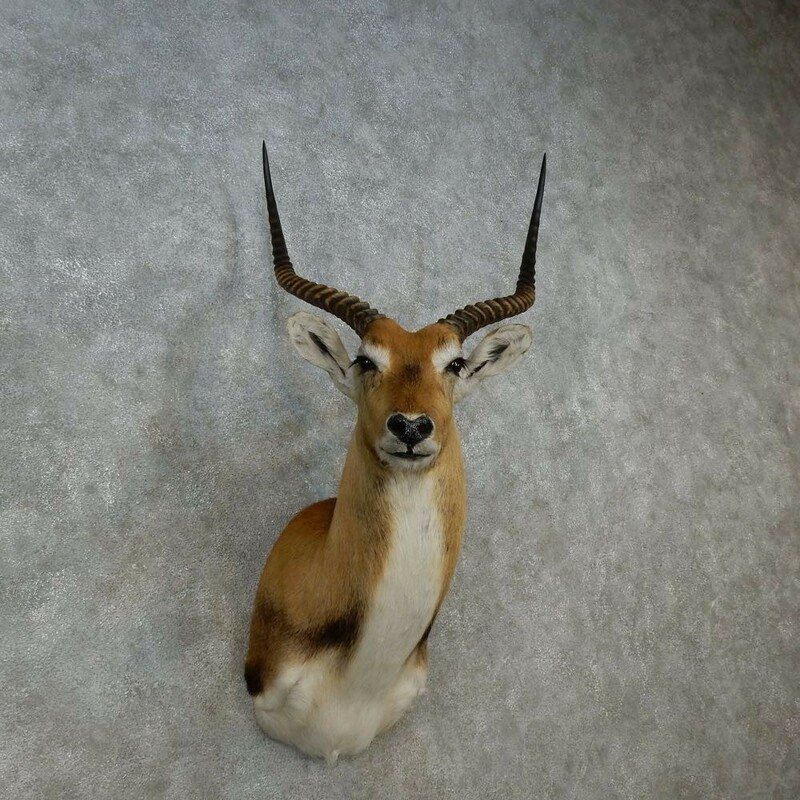 The male lechwe is darker in color than the female, and grows tall, spiralling, lyre-shaped horns. 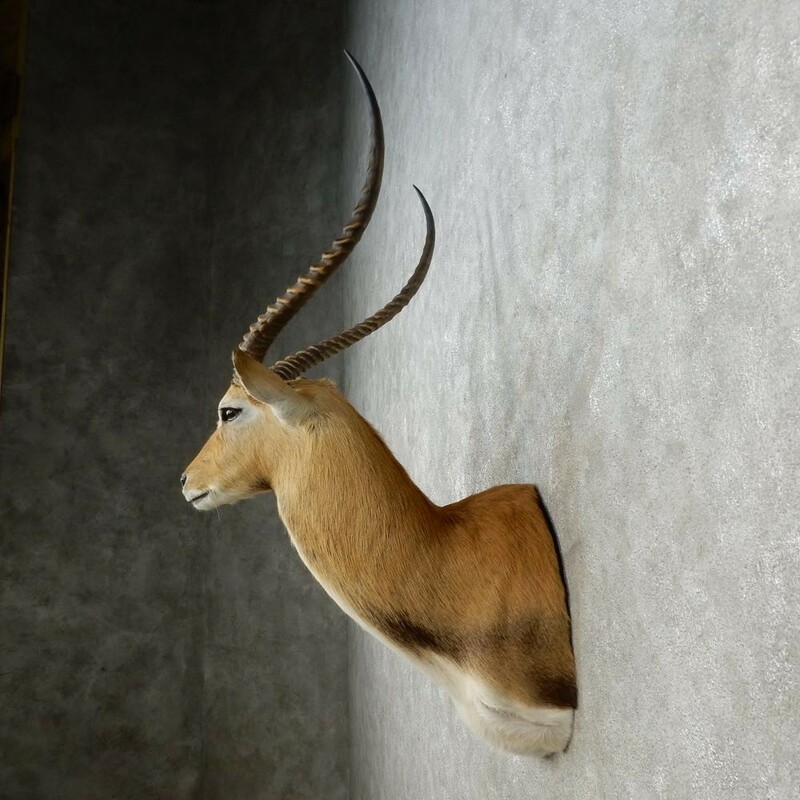 The lechwe prefer aquatic habitats, preferably knee deep water, where it can feed off of nutrient-rich aquatic plants as well as defend against predators. 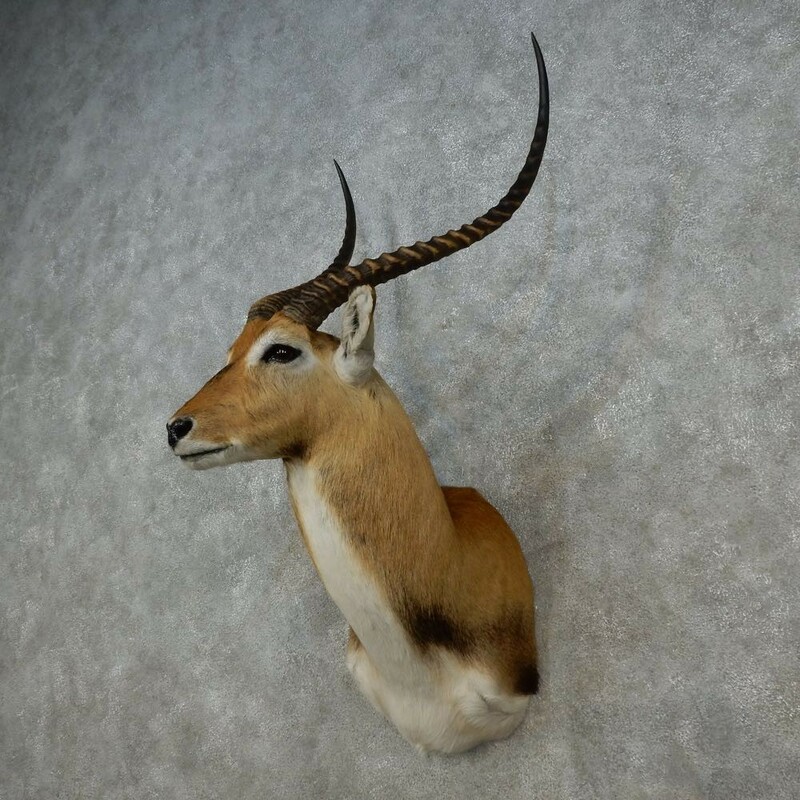 While it would certainly be easier to hear predators approaching in the water (other than crocodiles), the lechwe has the upper-ground in speed, using their water-repellent fur to sprint through the water at incredible speeds. Bronze - 68" Gold - 70 1/4"